It all began 35 years ago in a commercial 4-track demo studio in Stockport with a Roland Space Echo RE201 the solitary piece of outboard and my first experience of Hannett and Factory Records. No, I didn’t ever make a cup of tea. I used to walk past Strawberry Studios, the tip-top 24-track owned by 10cc on my way to the chippy for my nightly curry half ‘n’ half (that’s half rice and half chips with curry sauce for any southerners) and dream of one day working there. From 4-track I soon doubled up to 8-track and Spirit Studios Manchester, a spawning ground for the embryonic Madchester scene with memories of recording a 15-year-old Shaun Ryder and the early goth version of the Stone Roses. Here also my brush with early music tech education teaching and the establishment of the School of Sound Recording which is still going strong globally as SSR. Onwards and upwards to 24-track, the ultimate ambition, thanks initially to A Certain Ratio and Factory – yes, Strawberry Studios included. Then the Second Summer of Love, the Hacienda and countless pointless 12” remixes for misguided A&R people. I’d be disappointed if I came back from a night at the Hac without at least the promise of one session. Social networking as was. I found myself a part of the original M People before the handbags and got a taste for studios outside of Manc, escaping before bitterness took hold. The 90s and early noughties were still witness to the healthy returns of the recording industry and I regularly spent 3,4, 6 months on a single album in an all-inclusive recording resort in the English countryside because the budget was there – The Manor, Real World, Ridge Farm, The Wool Hall amongst many. Over-indulgence I hear you rightly suggest, but the technological possibilities were also there to be had and the false god of perfection was tantalisingly inviting. During that period I forged a strong working partnership with producer Chris Hughes (Adam & The Ants, Tears For Fears) from which spawned our very own studio. Based on the precept ‘Why go to them when they can come to us?’, we spent a good few years as host to a variety of bands deep in the verdant Wiltshire countryside. We were early adopters of the desk-less studio, populating the space with good mics, a variety of pres and mixing ‘a la boite’. As our world’s diverged I took up residence in a white room down the road at Real World to continue my burgeoning mix work. The clot of resident producers made it a perfect debating floor to surf the latest evolutionary wave of studio tech-ery despite its orthodox large-scale console heart. After a few years I’d been there so long I was invited to a consultancy role on the studios management team and continue to balance this with my freelance work. 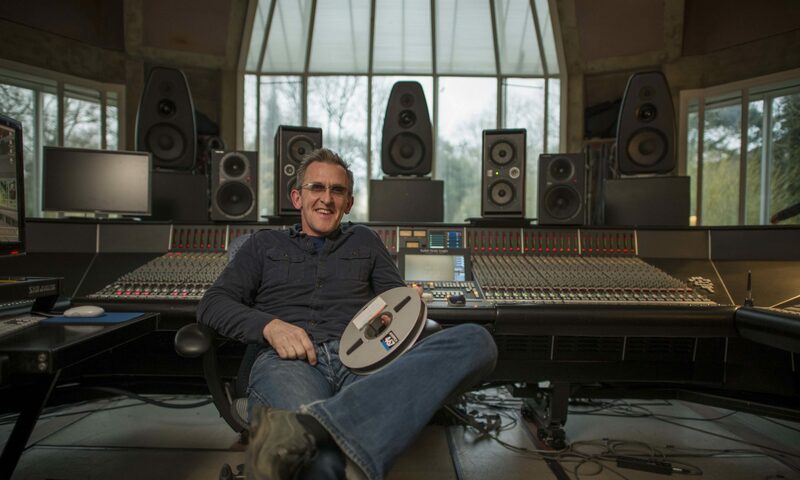 Real World Studios is one of the few remaining residential studios in the UK and certainly one of the best. But the length of the average booking has shrunk enormously since I was first here. Gone are the 3-month bookings and more, replaced by 3 to 5 days for recording drums and acoustic instruments before heading back to the edit lab. And the day rates have shrunk too: A few weeks ago a visiting A&R to Real World was so surprised by the rates, which included accommodation, that she suggested it was more like a hotel with free recording studio attached. One sleepless night a few weeks ago I started to tot up the number of studios I’ve worked in over the years. Sad I know, most would be counting boyfriends/girlfriends. Anyway, it came to over 70. I still don’t have the heart to count the number still in action, one day I will and will report back. But for now I can reflect on how prolific and diverse the recording world was and dream that hopefully it still is for developing engineers in some form or other.